One of the UK’s biggest housing-linked infrastructure projects is to be delivered in Winchburgh after a deal was struck between a new joint venture, the Scottish Government and West Lothian Council. 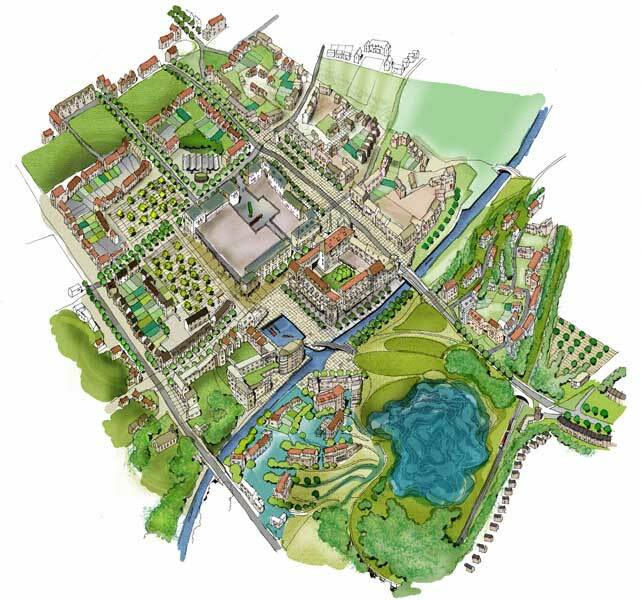 Winchburgh Developments Limited (WDL), a newly-created joint venture between private equity partnership West Coast Capital (WCC) and CALA Homes, will invest in the development and delivery of the overall masterplan across 347 hectares. The development will include a total of 3,450 new homes, new schools and a range of infrastructure including improved transport links, a new marina, a 75-acre district park and 35 acres of employment land. The overall masterplan will unlock sites for multiple house builders, and ease pressure on housing needs across West Lothian including some 700 affordable houses, and more than 400 for social rent. Sir Tom Hunter, founding partner of WCC, paid tribute to the Scottish Government and West Lothian Council for their support for the development. The overarching agreement will see West Lothian Council build new state-of-the-art schools. The schools will be forward funded by the council with support from the Scottish Government but ultimately will be paid for by house builders across West Lothian via receipts from the roof tax as housing is developed. Phase One of Winchburgh saw five private housebuilders; Barratt Homes, Miller Homes, Bellway, Stewart Milne Homes and Taylor Wimpey active on site, with the expectation that many more will participate in the ongoing development. In addition, West Lothian Council’s housing department and Wheatley Group, through its subsidiary West Lothian Housing Partnership, delivered 96 affordable housing units for social rent in the new town centre. CALA chief executive, Kevin Whitaker, said: “We are delighted to be partnering with West Coast Capital to help fund and deliver a high quality, sustainable development that will bring multi-tenure housing, education and infrastructure to West Lothian. Following the acquisition of CALA by Legal & General last year, we have the appetite, expertise and capability to work on ambitious large-scale projects such as Winchburgh.